I’ve seen on Twitter that Michael Sheen is going to play Tony Blair again in a new film, The Special Relationship. It’s going to be about the rapport between Blair and Clinton, who will be played by Dennis Quaid. Meanwhile, Cherie Blair is going to be played Helen McCrory. An interesting choice as McCrory’s acting experience includes playing the evil old witch Narcissa Malfoy in the Harry Potter films (right). Say no more. 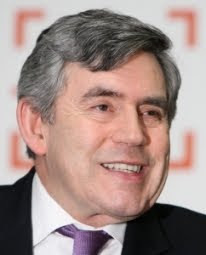 Gordon Brown is also in the movie and played by Chris Wilson, whose past roles include a police officer, a prison officer and a traffic warden. Everyone knows that John Bercow had an eye on the Speaker’s chair very quickly after Michael Martin announced his resignation. He apparently circulated a manifesto for his campaign around fellow MPs within hours of Martin’s official demise. But Lobbydog got a sniff of the full extent of his machinations earlier today when he was talking with defeated Speaker candidate Margaret Beckett. She revealed that while she was canvassing support for her campaign MPs told her they’d been approached by Bercow for their backing up to three years earlier. It seems he had been gathering names, possibly as early as 2006, and was waiting for the opportunity. 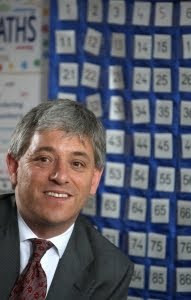 Between 2006 and 2009 came the years that Bercow was also active in working with the Labour Government, leading to defection rumours but boosting his cross-party credentials. It seems the early bird got the worm. LD was chatting with politicalbetting.com’s Mike Smithson earlier today about weird bets. He apparently won £700 betting on the number of sips of water Alistair Darling took during his budget speech. I’m in the wrong business. Anyway, I took the chance to ask him for a tip-of-the-day to share with readers. He suggested a 5/1 punt at Paddy Power on Brown not being the PM by the end of November. “I just get the feeling that it might be the end for Gordon,” he pondered. I’ll have a little flutter and, if the bet comes through, donate the money to the charity that looks after old hacks. I’m not joking, there actually is one. 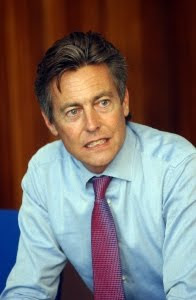 Culture Secretary Ben Bradshaw got over excited earlier and practically entered a city into a national competition by mistake. Bradshaw was announcing the ‘cities’ that had put themselves forward as potential candidates to become “UK City of Culture”. The title will go to the winner of a competition, in which bidding cities must put together a programme of cultural events that will bring about a “step change”, whatever that means. Anyway, Bradshaw suggested that Derby had put itself forward – but that wasn’t quite what the city council said. The council has expressed an interest, and assures LD it has a "strong will and desire" to be a part of the competition, but isn't yet sure if it's worth the cost. Sounds to me like the local authority doesn’t want to pour cash away on the whole thing during the recession. If you’re beginning to suspect that “UK City of Culture” might be a bit airy, then let me put your mind at rest by bringing to your attention the words of Phil Redmond who is chairing the judging panel. The word city is in inverted commas because actually you don’t need to be a city to do it – bids are being put in by ‘Urban South Hampshire’ as well as, and this really takes the biscuit, ‘the countryside’. Yes, all of the countryside in the UK is putting in a joint bid. It’s actually no wonder if Derby is worried about financing a bid because the winner will receive the grand total of £0 from the Government to support their events. A not very effective publicity stunt for everyone involved, and hence a bit of a waste of time, says LD. 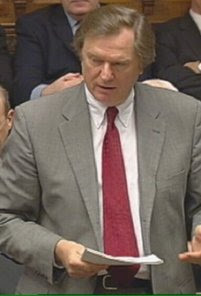 Graham Allen was apparently once accused by party seniors of being “too independent minded” to climb the political ladder. The Labour MP for Nottingham North has been outspoken on areas in which he thinks the Government needs to change and earlier this year he was involved in the plot to oust Brown. So it’s not a huge surprise that his most recent criticism of Government policy comes in fairly explicit terms. To remedy the situation he suggests making councils independent, sovereign bodies and even enshrining their rights to independence in a Local Government Act. Along with that should come financial independence – revenue raising powers and a system in which all tax collected by a council goes to the council. The recession is eating up all the column inches at the moment, but the ‘local powers’ issue is still an area where all parties are trying to seem like the good guy. 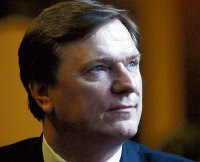 Allen actually claims the two are linked – councils, he wrote, are best placed to fight the recession in their areas. His criticism won’t make Denham sweat, but it challenges the claim Labour is the party prepared to decentralise most and give greater powers to councils. With his role on the committee reforming Parliament and the credibility drawn from challenging the leader, Allen has the potential to be a thorn in Brown’s side approaching the election. Alan Duncan’s neighbouring Labour MP Andy Reed wrote a righteous blog-post earlier on how the former Tory front-bencher got “what he deserved” by being sacked. Maybe other Labour MPs don’t like speaking to him much. Many I’ve spoken to, while they might not like the way Duncan phrased it, did sympathise with the idea that they had been mistreated and smeared during the expenses scandal. 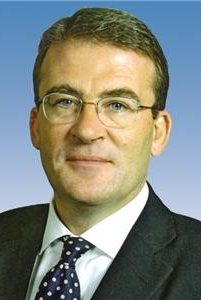 A colleague pointed out that this was the same same Andy Reed who, post-scandal, asked the “court of public opinion” to decide whether he should claim for a new boiler in his Westminster flat after his previous one reached its sell-by date. Lobbydog is calling on all readers to let this blog know when they see Tony McNulty pop up giving interviews for the Government. The former minister, shamed due to his expense claims, has been on Sky, was on Newsnight yesterday and featured on the radio this morning towing party line. The only thing I can think of is that the Government believes his position, or lack of it, will mean they have plausible denial if he says something silly on the Megrahi case – the subject of his interviews. The Lockerbie bomber’s release has been a very tricky situation which has seen more eloquent press performers like David Miliband get into trouble. Why else would Labour put McNulty up for interviews as a former “security minister” even though the police formed the main part of his brief when he was at the Home Office? Where is Lord West, Parliamentary Under-Secretary for Security and Counter-terrorism, or Police Minister David Hanson? Wouldn’t either of them be more appropriate? It seems the clamour for Duncan to go among Tory MPs was greater than Lobbydog imagined. I'd spoken to two or three Conservatives who had said they had raised “frustrations” about his continued presence in the shadow cabinet. The MPs were beginning to feel Duncan was losing them votes. Cameron obviously agreed – but enough not to do away totally with Duncan, the Melton MP will remain as shadow prisons minister. It's a gritty new role which I'm not sure will suit him - it'll mean him having to put a bit of back into it. Meanwhile the old incumbent of that position Edward Garnier is promoted to shadow Attorney General. Lobbydog hears a number of Tory MPs have received letters from Conservative constituents saying they won’t vote for the party while Alan Duncan remains on the front bench. As far as I know it’s not sack loads of mail, but the development could still be interesting. 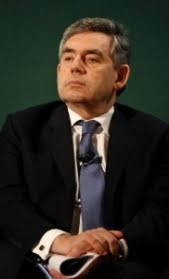 So far any pressure there has been for him to go in the wake of the ‘rationsgate’ affair, the ‘bimbogate’ affair and his expenses generally, has come from the grass roots. ConservativeHome has shown the MP’s popularity plummet in recent months – he’s currently the least popular member of the shadow Government. Cameron has given a stay of execution for now. There are even rumours that Duncan, shadow leader of the House, may do a special question and answer session on expenses at this year’s conference in an attempt redeem himself. But if there is a clamour among other Tory MPs warning that Mr Duncan is losing them all votes then Cameron may feel obliged to act. Alternatively, if the question and answer session goes horrifically badly – and most of Duncan’s colleagues I’ve spoken to fear it might – then his luck may just have run out. Lobbydog bumped into Geoff Hoon this morning marching through the Palace of Westminster trying to look useful. The former Transport Secretary has been refusing to do interviews, even for his local paper on what he’s been up to since “leaving” the cabinet. One thing we are certain he’s achieved this summer is making it to the British Grand Prix with his wife – a £2,100 trip paid for by Silverstone. Hoon really likes F1. He even went when he was Defence Secretary two days after Dr David Kelly killed himself.